74% of respondents to a public consultation have supported a proposal to protect 100 Police Officer jobs and recruit 40 new Officers. Nearly 2,200 people responded, either in person or online, to the consultation undertaken by the Commissioner, Jane Kennedy, asking whether residents would be prepared to pay an increase in the Police precept (Council Tax ring fenced for the Police) to protect Merseyside Police's budget after the Government said local Council precept payers must pay more to avoid further cuts in Police jobs. The increase equates to approximately 31p a week or ₤16 a year for a Band A household, the lowest Council Tax category, but the amount paid by the majority of Council Tax payers on Merseyside. The 2019/2020 financial settlement, announced by Policing Minister Nick Hurd MP in December 2018, provided an additional ₤8.4m in a Government Grant, for Merseyside Police, but this will be entirely consumed by the pension shortfall announced by the Government just 3 months earlier. 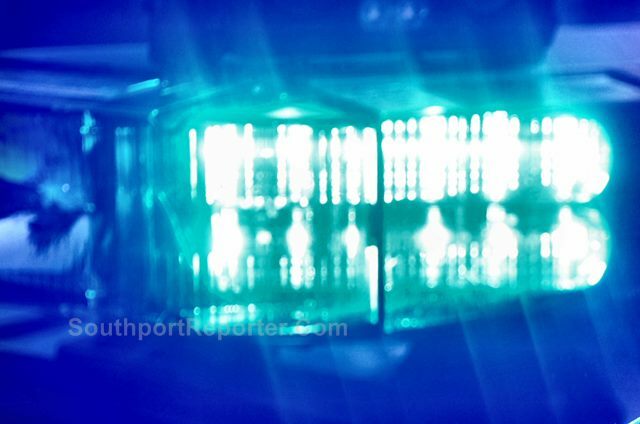 The settlement provided no new money for the day to day running of Merseyside Police, the cost of which increases every year due to pay and price inflation. Without a rise in the Council precept the Force would be facing further damaging cuts. Since 2010 Merseyside Police has already been required to make cuts of ₤110m, with an estimated ₤14.5m still to make by 2022/23. In that time, the size of the organisation has reduced by a ¼, with 1,110 fewer Police Officers now patrolling the Region's streets. This increase in the precept would enable the Chief Constable to avoid the planned cut of 100 Police posts and instead, increase the number of Police Officer posts, by 40. While the Government expected taxpayers to contribute more, the Commissioner has spent the last 3 weeks consulting local people to find out if they would be willing to contribute more to limit the impact of these cuts and protect Police Officer jobs. The results revealed that 74.2% of respondents were willing to approve an increase to the Police Precept, with 22.1% saying they were not prepared to pay more and 3.7% of people being unsure. Even after this small increase, the Police element of Council Tax bills on Merseyside will still be among the lowest in the country. Jane said:- "While the Government arrogantly assumed taxpayers would be willing to pay more, I wanted to actually ask local people their views. Once again I am overwhelmed by the public's support for their local Police service. While the Government are clearly not willing to provide the funding the Police need and deserve, the vast majority of local people are prepared to contribute more to protect Merseyside Police. This shows just how highly people value their Police and how desperately they want to see more Officers on the beat. It is now my responsibility to work with the Chief Constable to get the most out of every pound we spend and deliver the most effective and efficient service we can with the resources we have. I'd like to thank everyone who took the time to give their views, it is reassuring to know that people want to ensure their local force is adequately funded. Thanks also to those who feel they are taxed enough already and could not support the proposals, many of whom felt, like I do, that this money should come from central Government. I know everyone is feeling the pinch at the moment and I ask people to pay more extremely reluctantly." During the consultation, the Commissioner held a community roadshow event in each Local Authority area, with two in Liverpool, in order to hear the views of many people as possible. She also conducted an online survey on her website. The Commissioner has since presented her proposed budget to the Police and Crime Panel. WHEN a person has a cardiac arrest, there are a few vital minutes to save them. Anyone can save a life, you just need a few simple skills and North West Ambulance Service (NWAS) has teamed up with BBC Radio Merseyside and Merseytravel to help the people of Merseyside learn these by offering free CPR sessions throughout February 2019. The campaign aims to train hundreds of:- 'Mersey Heartbeats' with simple 1 hour sessions taking place 3 times a day at various locations across Merseyside over a 4 week period from Monday 4 February, all of which are completely free. Just simply click on here, find the session you'd like to attend, book your place and come along. Professionals from NWAS will talk you through exactly what to do in the event of a cardiac arrest, including how to do CPR and use a defibrillator. Robert Hussey, Community Resuscitation Manager for North West Ambulance Service said:- "Every single second counts in the event of a cardiac arrest as chances of survival are reduced by 10% with each passing minute which is why it's so important that members of the public are able to step in and begin life-saving CPR even before we arrive on scene. NWAS is passionate about making people aware of these simple skills that save lives and we're really pleased to be linking up with BBC Radio Merseyside and our other partners on this campaign to give free CPR training to hundreds of people across Merseyside. The aim of the training sessions is for more people to feel confident enough to step in and help when the worst does happen which will ultimately save lives." In the event of a cardiac arrest, it is important to dial 999 as soon as possible and our emergency medical dispatchers will give all the necessary instructions. They will also advise if there is a defibrillator nearby and how to access it. 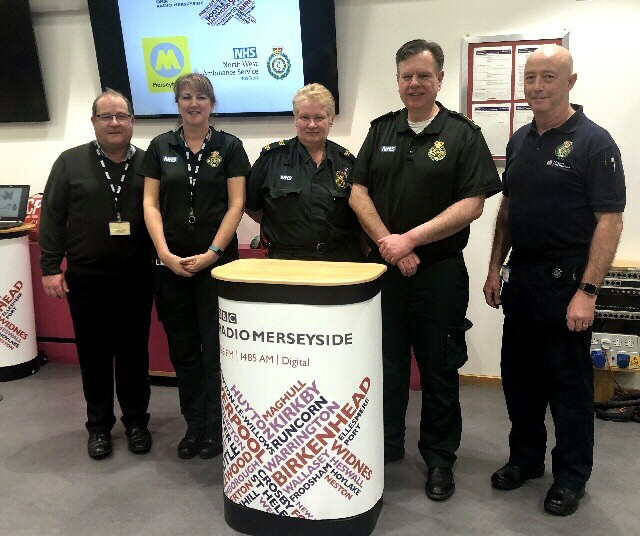 Pauline McAdam, Assistant Editor for BBC Radio Merseyside said:- "BBC Radio Merseyside is really pleased to be able to work with our friends at North West Ambulance Service to help train people and to raise awareness of this issue. It's so easy to think that you'll never be the person who needs to know how to help but it could so easily happen. This training shows that some really basic knowledge can save another life. In minutes! So we want to learn, and help people overcome their fear that they may not be able to help. Instead we want to get the message out there that anyone can save a life!" The sessions, which are led by healthcare professionals, explain the basic concepts of CPR and defibrillation giving attendees the opportunity to practice their skills on specialist manikins. Book your place today. You never know, it could just save a life!